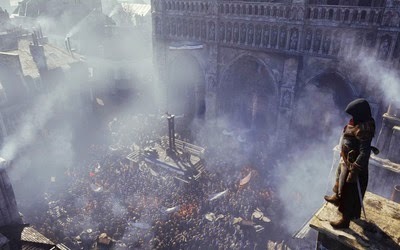 Assassin’s Creed: Unity was officially revealed during Microsoft’s E3 2014 conference with four-player co-op. Ubisoft confirmed that Untiy will allow gamers to make their own co-op Brotherhoods and take on missions together. The mission shown that took place during Paris in 1789.